Great minds think alike! 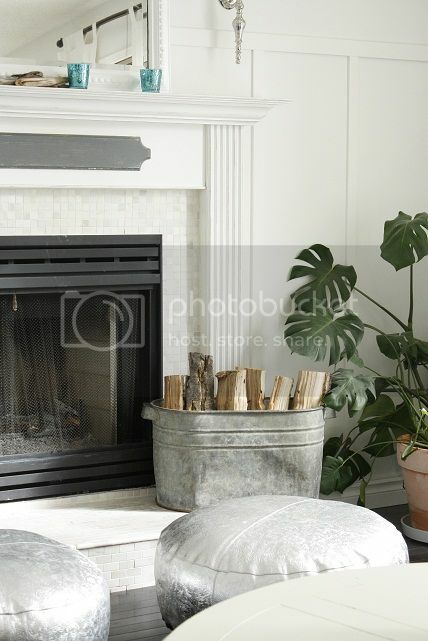 Many of you said that you also had galvanized metal buckets collecting your kindling beside your fireplaces, which was exactly what I had planned for my bucket. 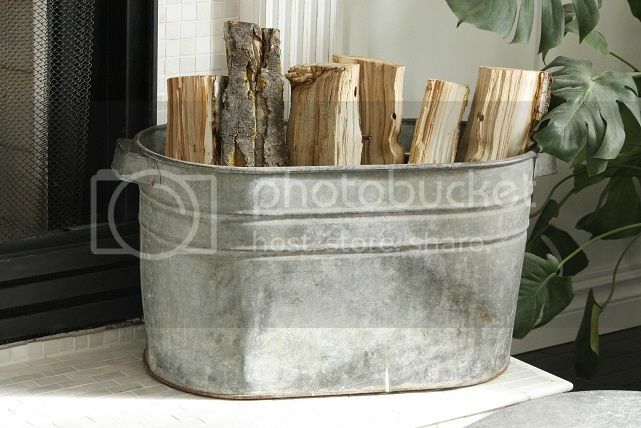 We primarily use eco-logs, which are also piled in the bucket. But those aren't all that pretty so I also threw some logs on top that we throw on top of the eco-logs to keep the fire blazing. After all, I think it is probably still much greener to heat your home using the fireplace with a little wood than running the furnace all night. And we are fireplace people, lighting a fire at least once or twice a week! Tune in tomorrow to see what follies my bestie Rebecca and I get ourselves into today on our trip to a few local flea/antique markets!